SIMRA project has passed its half-way point! And over these two years we have been working hard: we have agreed on a definition for social innovation, characterised marginalised rural areas across Europe and the Mediterranean region and collected hundreds of examples of social initiatives, 50 of which are public in our database. We have also launched 12 case studies and 6 innovation actions that will activate rural territories and disseminate new knowledge to policy-makers and practitioners. Find out more about SIMRA in our updated brochure! 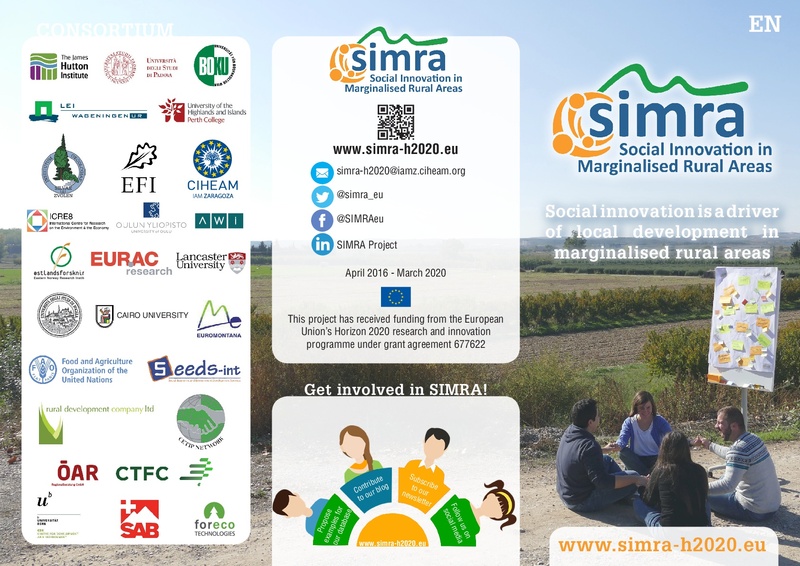 You can download SIMRA’s public deliverables here, where you can gain deeper knowledge on our research actions, and you can also access SIMRA’s collection of brochures by clicking here. Keep updated by subscribing to our newsletter and following us on Twitter and Facebook.